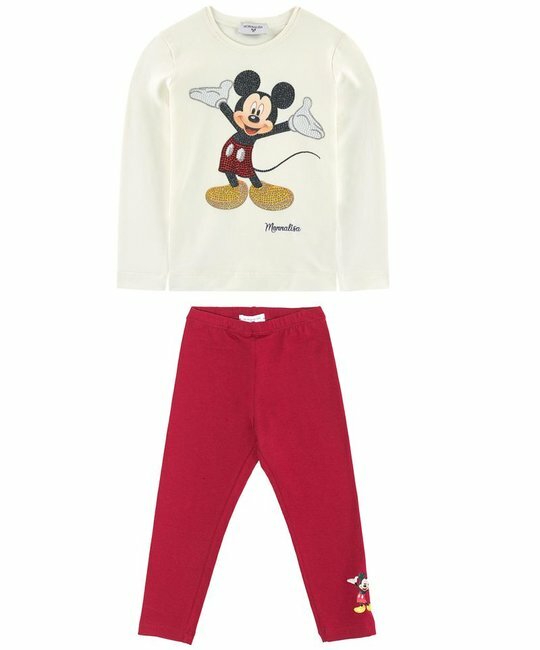 Monnalisa soft cotton two piece ‘Micky Mouse’ top and red legging set. 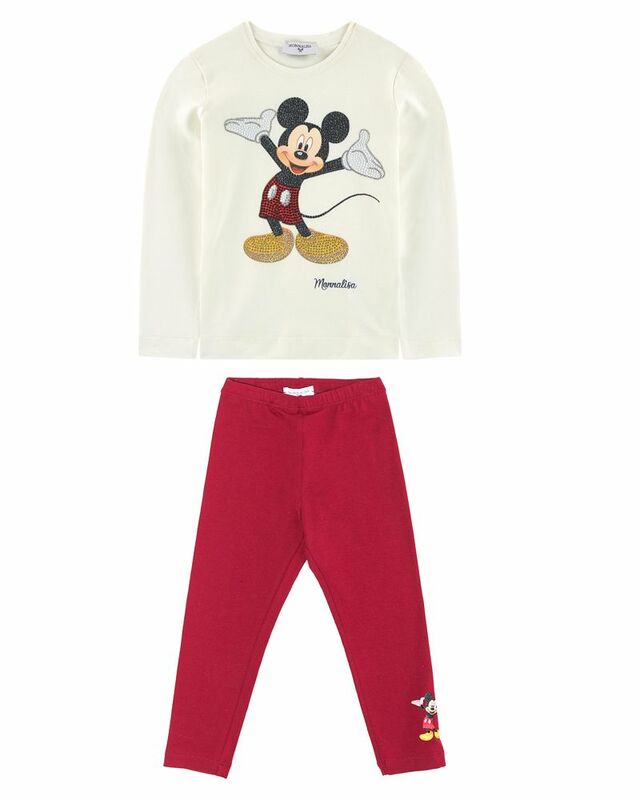 96% Cotton, 4% Elastane, 100% Polyester. Imported.